We are deeply saddened by the loss of sweet Susie. She is one of our oldest alumni’s rescued in 2002. Her mom Connie is a rescuer extraordinaire transporting and fostering many pugs, doing numerous home visits, and making sure to keep in touch with us about Susie over the years❤. 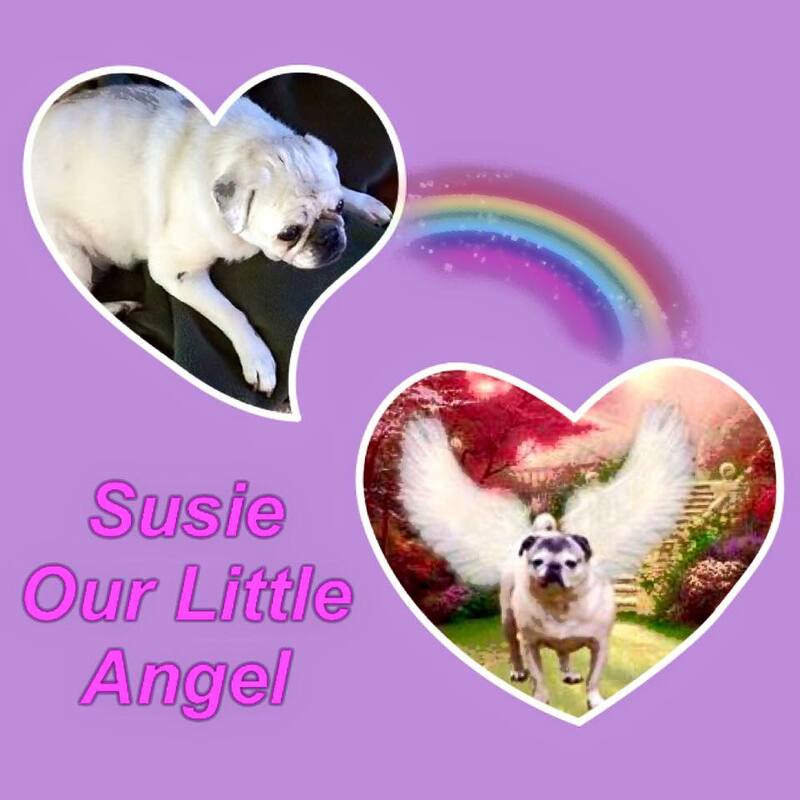 Susie passed in the arms of her mom where she felt the safest to receive her angel wings. We are sending our thoughts to Connie and Jim during this difficult time. They gave her a life filled with adoration and love.